Centrally located on Madison Avenue in Midtown Manhattan, Lotte New York Hotel is easily reached from all New York area airports. When considering a hotel in New York City, Midtown Manhattan provides the perfect place to begin your search. The area houses the world’s largest central business district, Times Square, Broadway, and the fashion center of Fifth Avenue. 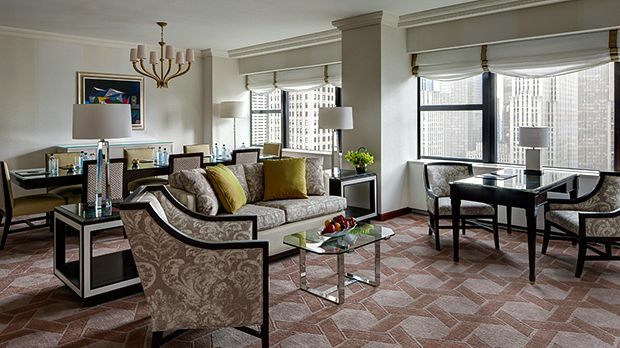 It’s also home to Lotte New York Palace Hotel, one of the city’s more storied accommodation options. The building housing Lotte New York Palace dates back over 100 years, providing a stunning signpost along Madison Avenue. Following a comprehensive refit, the current luxurious iteration of the hotel opened in 1993 and sports 733 guest rooms. 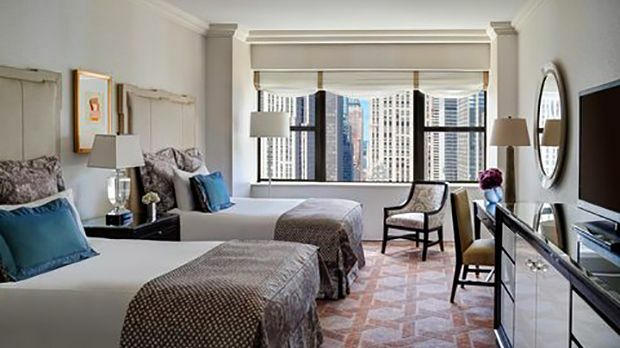 Each provides an opulent proposition thanks to the Clefs d’Or concierge service, Wi-Fi Internet access, complimentary shoe shine and complimentary weekday delivery of The New York Times. As you walk the halls of Lotte New York Palace, certain details might start to seem familiar. This is thanks to the hotel’s iconic interior hosting TV shows like Gossip Girl, Will & Grace, and Law & Order. Though not featured on any of those shows, the hotel’s full-service fitness center keeps guests in top shape during their stay, while Pomme Palais, Trouble’s Trust, and Tavern on 51 are fast becoming some of the city’s trendiest evening hangout spots. Send an availability request with your requested dates to the Lotte New York Palace. Recently renovated, Superior Rooms feature light and warm tones, classically patterned carpet and elegant furnishings. Spacious rooms offer one king bed, marble bathroom, seating area and amenities such as plush terry robes, On Demand movies and complimentary access to our 7,000 sq. ft. Fitness Center. 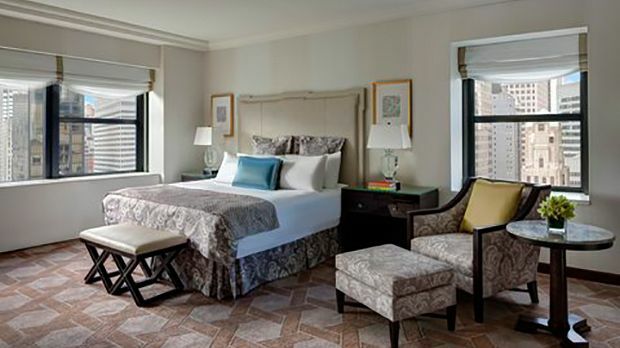 Newly restyled guestrooms feature light and neutral tones with classically patterned carpets and elegant furnishings. Spacious rooms offer two double beds, separate seating area and marble bathroom with Molton Brown toiletries, plush robes and slippers. Other amenities include On Demand movies and complimentary access to the Fitness Center. Showcasing views of the iconic St. Patrick’s Cathedral, Cathedral Rooms are elegantly furnished in earth tones and feature one king bed. Amenities include a 42-inch plasma screen TV with On Demand movies, Molton Brown bath amenities in a marble bathroom, overnight shoe shine and complimentary access to our 7,000-square-foot Fitness Center. Located on upper floors with sweeping views of st. Patricks cathedral and the midtown manhattan skyline. Spacious rooms are newly renovated in light neutral tones with elegant furnishings and a king sized bed. Amenities include a 42-inch tv with on demand movies, molton brown toiletries, overnight shoe shine and complimentary access to our fitness center. Showcasing views of the iconic St. Patricks Cathedral, rooms are elegantly furnished in earth tones and offer two double beds. Amenities include a 42-inch plasma screen TV with On Demand movies, Molton Brown bath amenities, overnight shoe shine and complimentary access to our 7,000 sq. ft. Fitness Center. 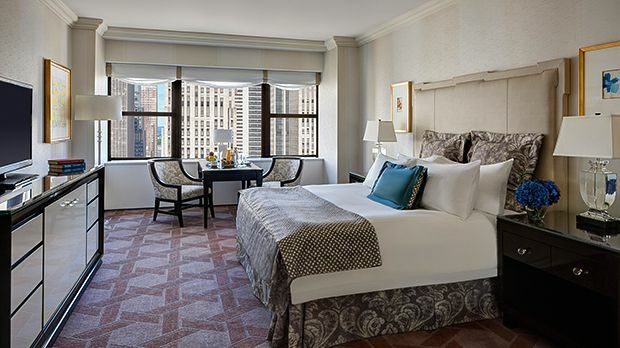 Offering sweeping views of iconic St. Patrick’s Cathedral and the New York City Skyline, Corner Cathedral Rooms feature one king bed dressed with luxurious linens. Amenities include a 42-inch plasma screen TV with On Demand movies, Molton Brown bath amenities, overnight shoe shine and complimentary access to our 7,000 sq. ft. Fitness Center. On upper floors and showcasing views of the iconic St. Patricks Cathedral, rooms are elegantly furnished in earth tones and feature two double beds. Amenities include a 42-inch plasma screen TV with On Demand movies, Molton Brown bath amenities and complimentary access to our 7,000 sq. ft. Fitness Center. 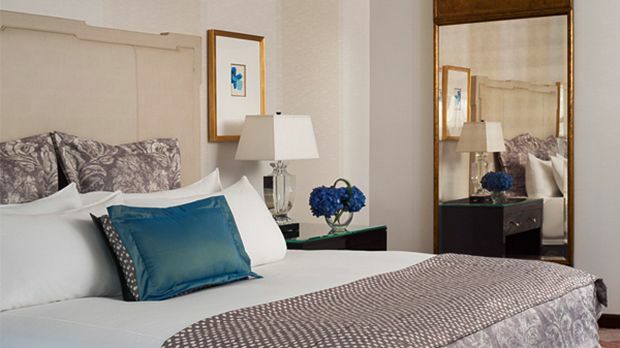 Sophisticated furnishings pair with thoughtful amenities in our Deluxe One Bedroom Suites. 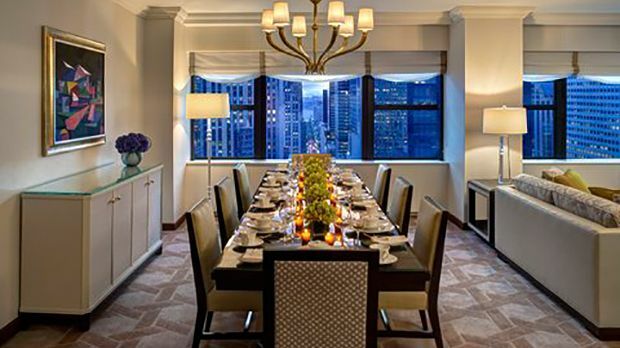 These luxurious suites boast breathtaking views of St. Patrick’s Cathedral and a separate living room that includes a dining table with seating for four, a sofa and powder room. The bedroom features a king bed, work desk, spacious walk-in closet and large marble bathroom. Enjoy views of St. Patrick’s Cathedral in our Deluxe Corner Suites, featuring an oversized living room with large dining table for eight, wet bar, and full marble bathroom. The spacious bedroom features one king bed with luxurious linens, large work desk, walk-in closet and marble bathroom.